This evening on Twitter the map below was produced by @natelynch. At first the lines were out of sorts but things have settled. 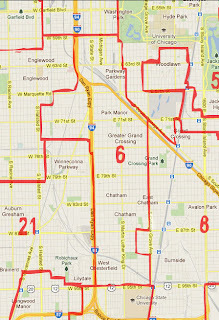 So this is how all 50 wards look under the plan of the Latino Caucus. Click the pictures for a larger resolution. Here's the link for natelynch's map! I cropped this picture to show the 6th Ward. Under the incorrect version it appeared to as far south as 103rd. It would've been cool because well Bennett-Shedd schools would both be in the 6th ward. Not to be since certain indents would've been at Chicago State or a park near 103rd & Cottage Grove. 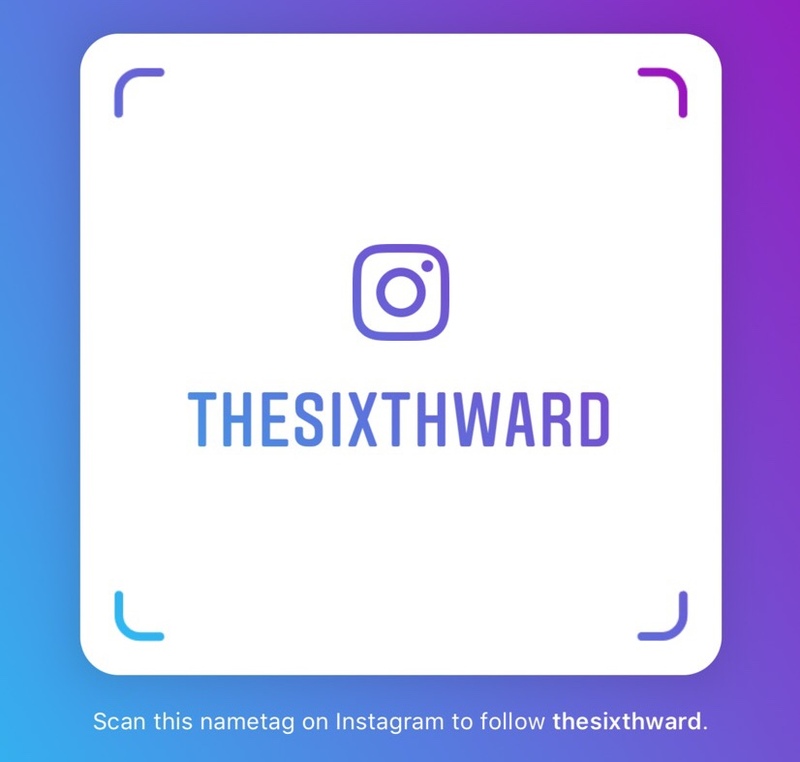 So it looks like only Roseland Heights would be sent to the 9th Ward under this proposal. 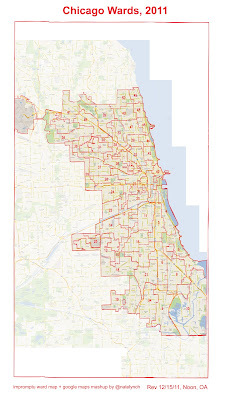 I'm sure Aldermen are continuing to talk and they will continue to tweak the map. I'm looking forward to the map produced by the Black caucus. If they still can't get enough votes for either map next March we have to decided in a referendum. It's expensive but probably necessary. The Latino Caucus would take at least three wards one represented by a white Alderman and the other two by Black Aldermen and they would be Latino majority wards. 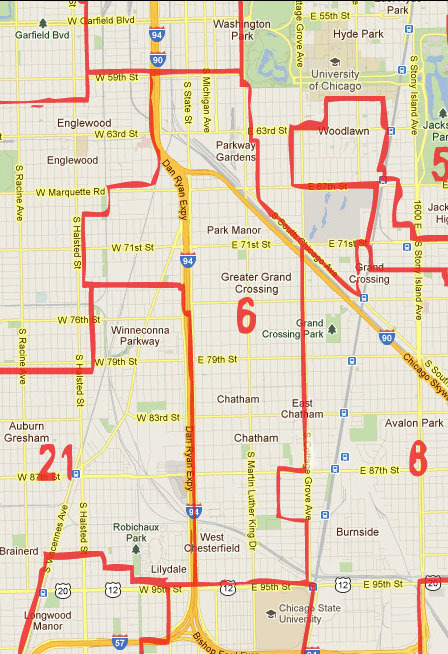 Under a tweaked Black caucus proposal there would be either 18 or 19 Black wards while Ald. Toni Foulkes (15th ward) should theoretically be able to win re-election. Read this previous post for any updates to yesterday's activities!